Pedigree beef bulls met a selective trade at the Aberdeen Christmas Classic at Thainstone yesterday. 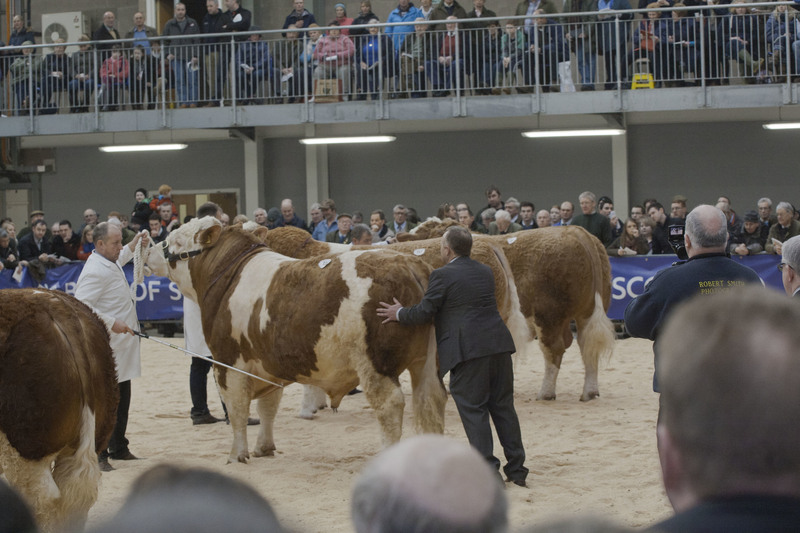 The supreme champion at the Salers Cattle Society’s show and sale at Castle Douglas made the joint top price of 9,000gns. 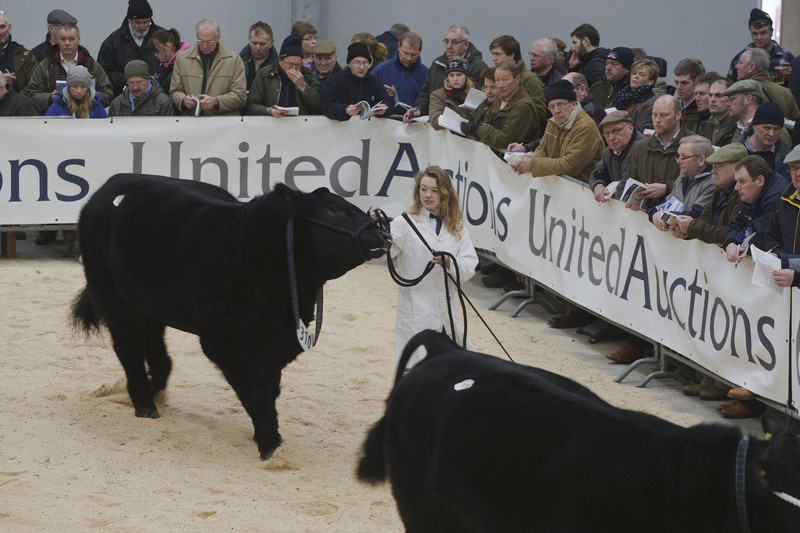 A top price of 6,200gn was achieved at yesterday’s multi-breed show and sale of pedigree cattle at Thainstone. Aberdeen & Northern Marts (ANM) is preparing to host two major cattle sales next week. Dingwall and Highland Marts is preparing to host its annual show and sale of bulls next week. 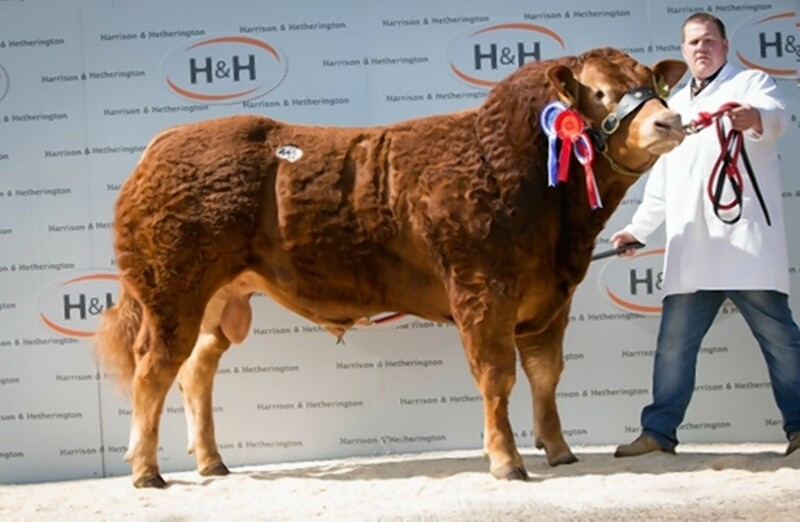 Limousin bulls sold to a top of 70,000gn at the breed’s autumn show and sale at Carlisle. 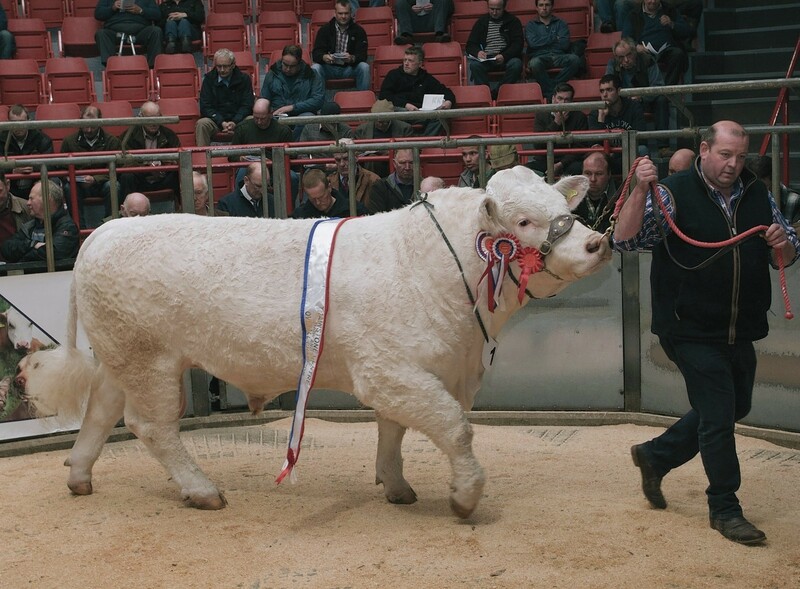 The British Charolais Cattle Society has thanked "strong commercial interest" for an increase in averages at its spring show and sale of bulls in Carlisle. A Charolais bull took home the champion rosettes and top price at Aberdeen and Northern Marts' annual show and sale of bulls yesterday. Beef producers from the Highlands and islands will descend on Dingwall next week for the mart's annual show and sale of bulls. Simmental bulls met a flying trade with 14 lots selling to a five-figure sum at yesterday’s Stirling Bull Sales. Limousins sold to a top of 8,500gn yesterday when the reserve overall champion went under the hammer. Cattle-breeding is a family affair for the Watties with three generations of the family involved with the enterprise. 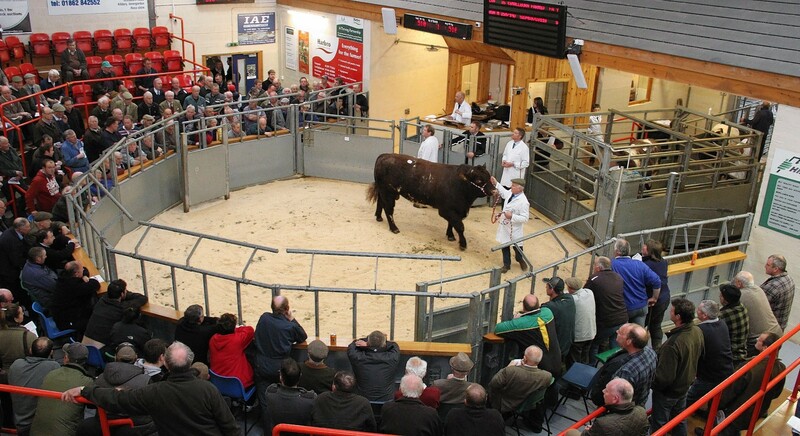 Bids topped at 4,800gn yesterday at Dingwall Mart's annual show and sale of registered pedigree bulls. Highland cattle sold to a top of 9,000gn at the breed society's spring show and sale in Oban. The luck of the Irish prevailed in the show ring at Stirling yesterday with both the supreme champion and reserve supreme champion rosettes awarded to breeders from Northern Ireland. The world famous Stirling Bull Sales has had its format changed once more to better meet the needs of buyers. Farmers planning to buy a new bull are being urged to pay attention to estimated breeding values (EBVs) when making their purchasing decision. 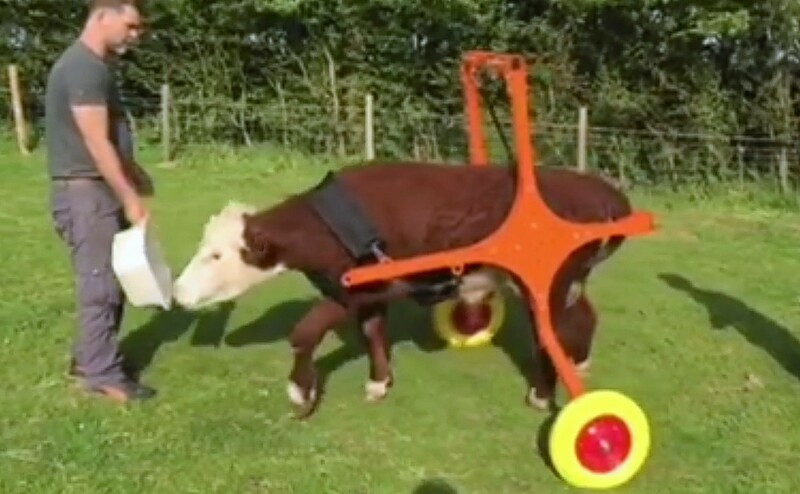 A dwarf bull who was crippled and almost put down after a vicious attack is learning to walk again using a specially made wheelchair. Charolais bulls led the charge at Thainstone this week with the breed achieving the top price and supreme championship rosettes. Commercial and pedigree beef producers from across the north will gather next week for Dingwall and Highland Marts' annual show and sale of pedigree bulls. A packed ringside of buyers saw yesterday’s show and sale of pedigree bulls top at 9,200gn. 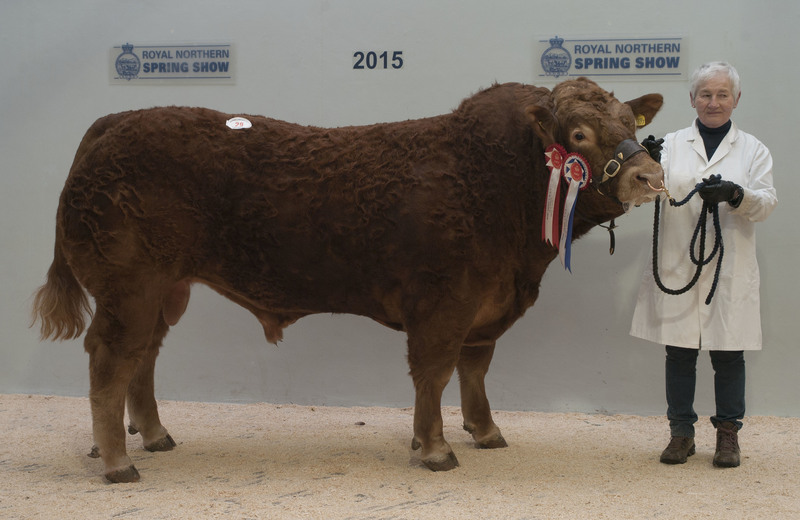 A farmer from the north-east sold the most expensive Limousin bull in the UK in 2014, according to the breed society. Farmers looking to buy bulls in the upcoming sales are being advised on how best to select, purchase and look after the animal. 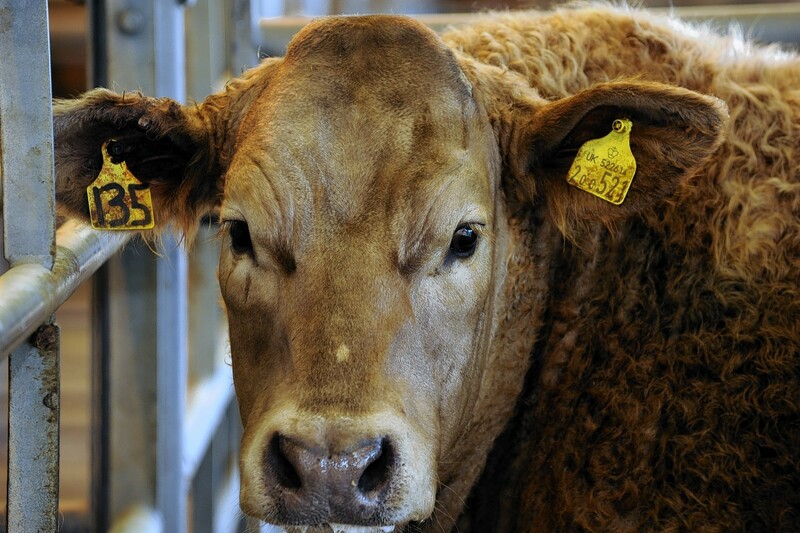 More than one quarter of all bulls could be firing blanks meaning bull MOT checks are essential ahead of the next breeding season, says Quality Meat Scotland (QMS).